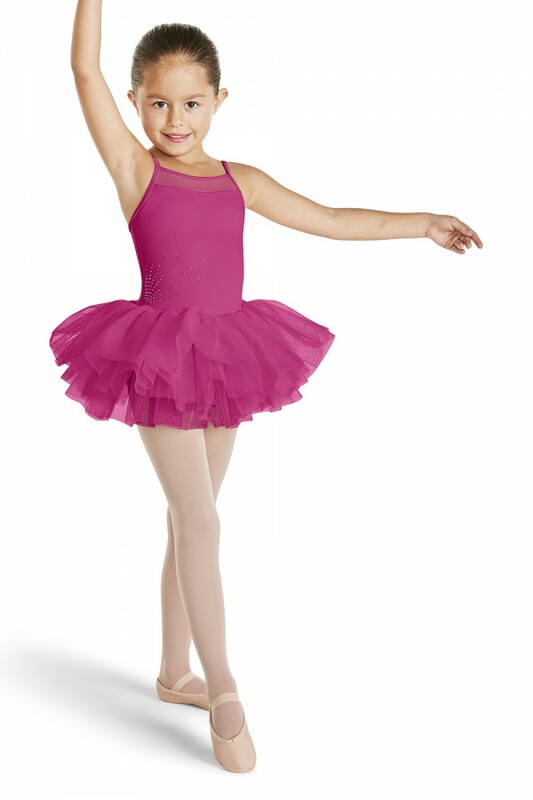 Your tiny dancer will love this deco diamante voluminous tutu dance dress. A sparkling burst of diamantes decorate the side body of this simple and sweet camisole bodice. 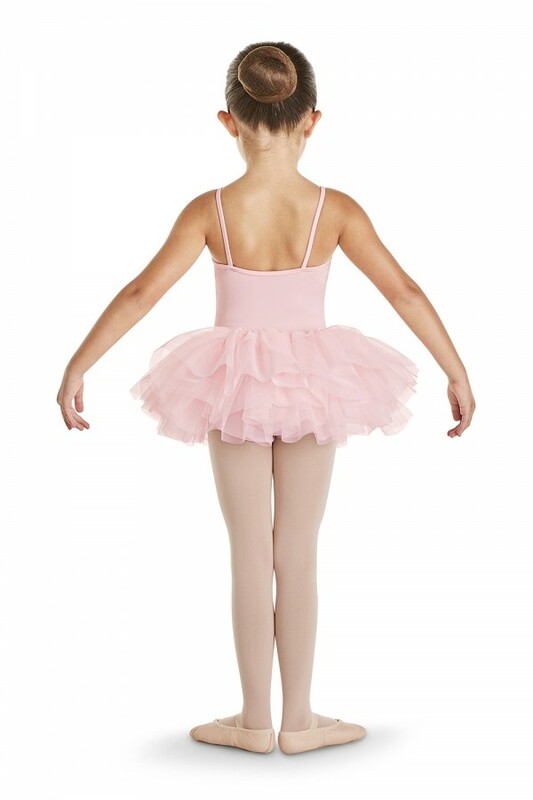 The soft mesh front yoke provides extra coverage. 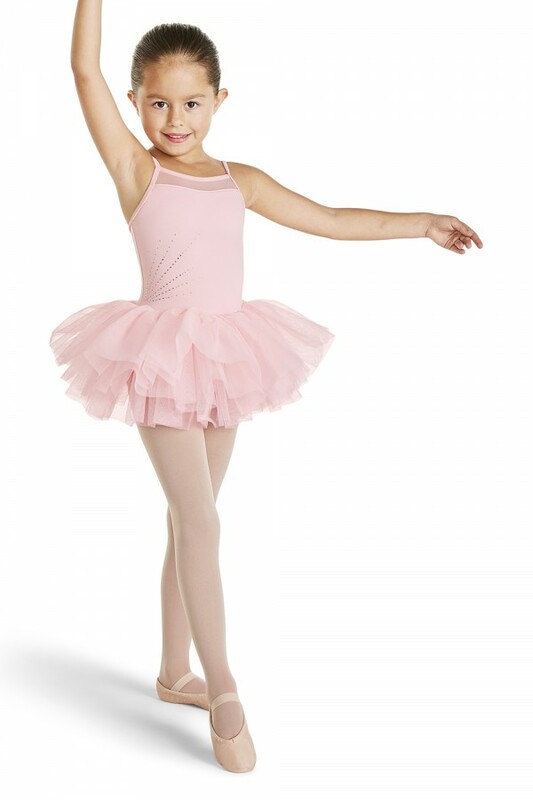 A fluffy attached tutu skirt crafted in graduating layers of soft tulle makes this an effortless outfit that will have your ballerina ready for class in no time.